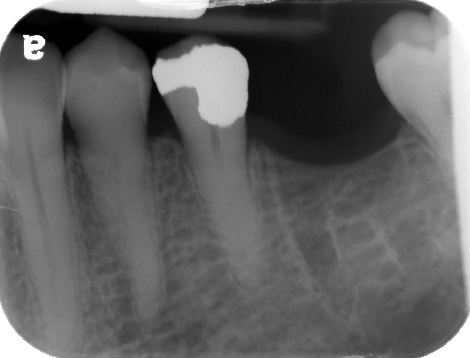 Definition: Lamina dura (bony socket border) that has not resorbed after the extraction of a tooth. Location: Any site of previous tooth extraction. Shape: May appear to be outline of tooth roots, linear or curved if only a portion is remnant. 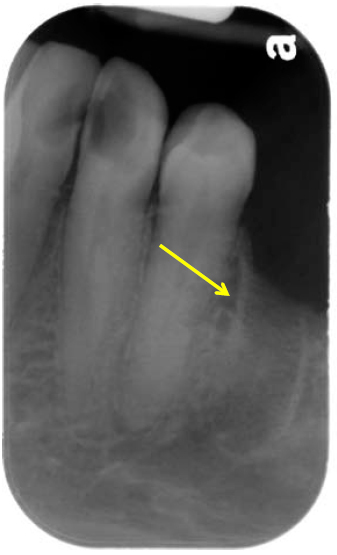 Internal: Radiopaque, radiopacity of cortical bone. Other: May be associated with normal bone healing or sclerotic bone healing. 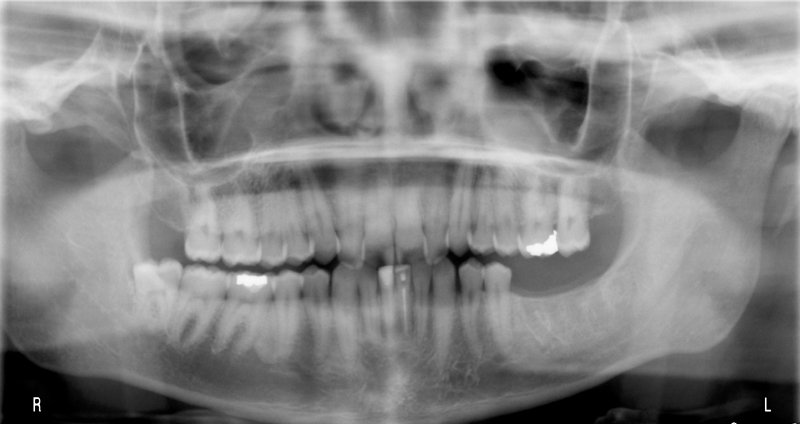 What is happening in the left maxillary sinus on the pantomograph? 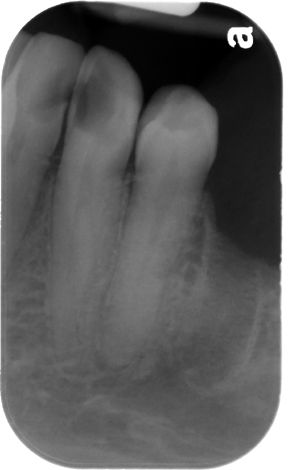 Increased radiopacity due to superimposition of other structures.